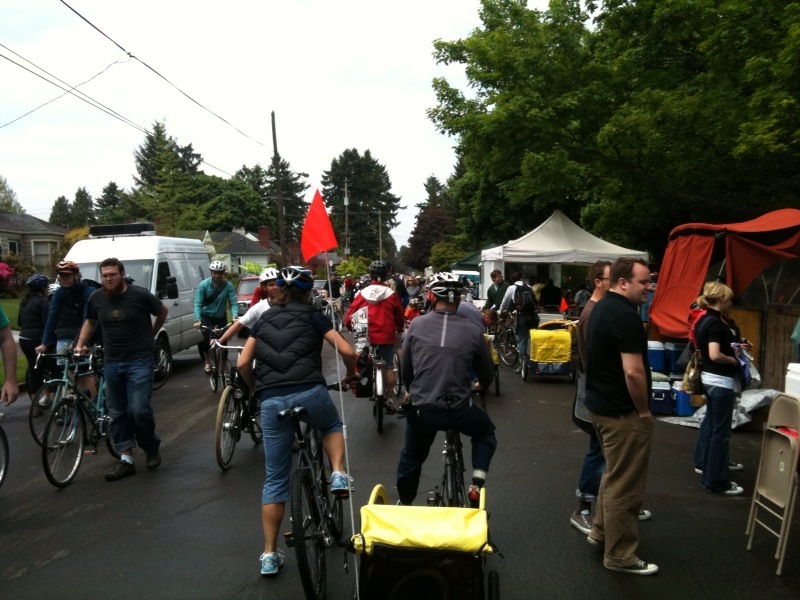 “Portland Sunday Parkways is a new annual tradition that attempts to connect neighborhoods and people in a car-free environment. One Sunday a month, from May to September, a different portion of the city has routes set up to block all car traffic, allowing the optimal street conditions for bicyclists, joggers, and walkers to safely enjoy their neighborhood streets. The parks in the area become mini cities with food, music, games, and representation from local businesses and vendors. 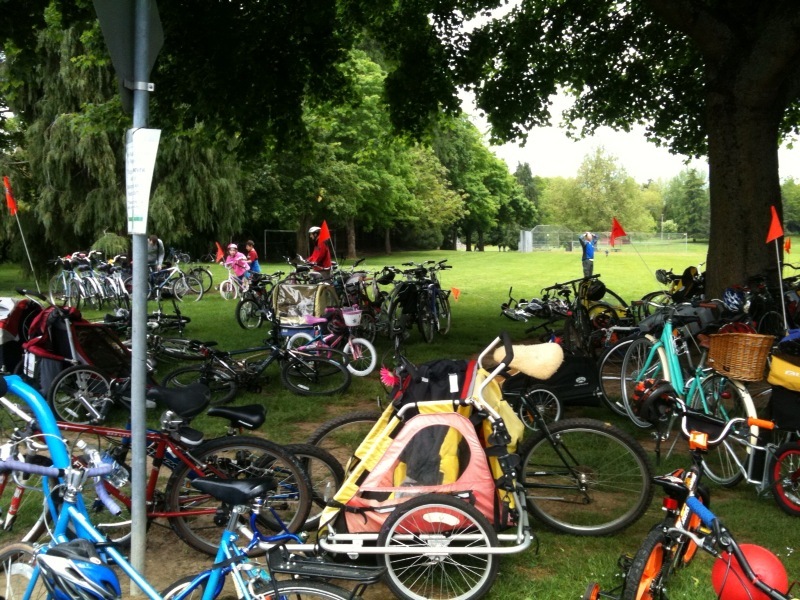 “I arrived at Fernhill Park in Northeast Portland bright and early on Sunday morning. 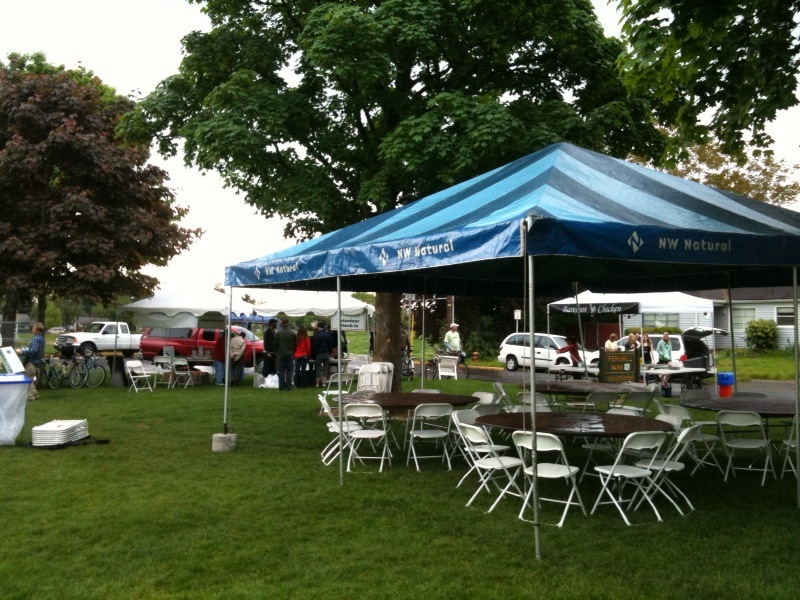 The weather looked like it was going to cooperate and I was ready to help with the set-up for the event. After receiving my pistachio green volunteer t-shirt, I began unloading tables and chairs. About 15 minutes later, I felt the first rain drop bounce off the end of my nose and before anyone could even open an umbrella, we were all treated to a unwelcome shower. I rolled up my pant legs, zipped up my jacket, and began setting up tables and chairs, hanging banners and signs, and helping the vendors prepare their mobile storefronts. People scrambled to hastily erect their canopies in the soaking rain, but I did not hear one person complain or pout. I could tell that nobody here was going to let a little Oregon waterworks dampen their day.